Are you looking for quality cabinets for your new home setting or are you ready to take on a kitchen or bathroom remodel? We at River City Carpet One are happy to now have you covered. We offer several brands of cabinets. Norcraft has offered real wood cabinets for 50 years, so its style and quality are certainly unquestioned. Homeowners can rely on Norcraft cabinets to look good and last long in any kitchen or bathroom setting. To learn more about Norcraft, please click here. Mid Continent Cabinetry is a leader in the kitchen cabinetry and bath vanity market. 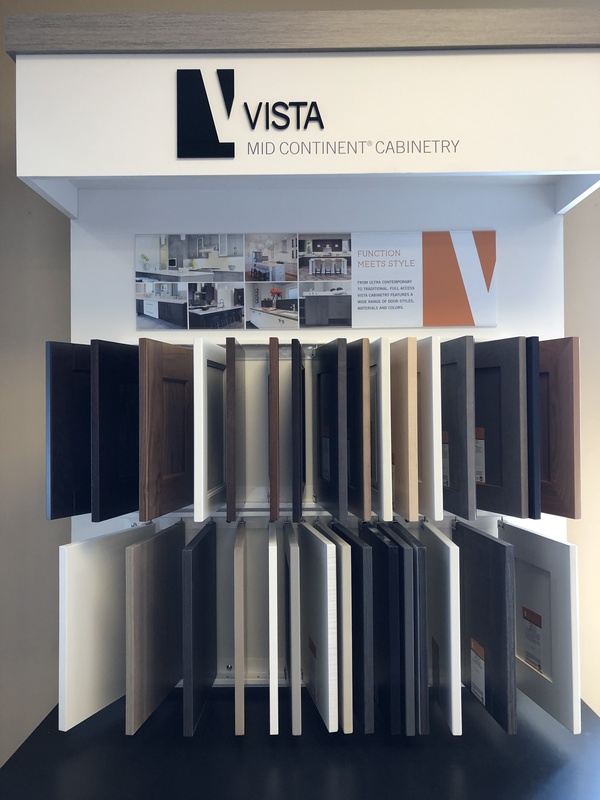 Mid Continent has a variety of kitchen cabinets and bath vanities to fit any needs, specializing in Custom Cabinets, Painted Cabinets, Glazed Cabinets, and more, with styling aligned with modern, updated home fashion. Get the look you want for your home with Mid Continent Cabinetry. For truly unique spaces, be sure to consider custom cabinets. Custom cabinets help set the style and feel to your home, by designing custom cabinets, you can ensure that the cabinets will perfectly fit into whichever setting you have in mind. The style, design, and craftsmanship of custom cabinets can increase the function of a room and give it an outstanding appearance. Whether it’s a bedroom, great room, kitchen, bathroom, or any other room, we can build the cabinets you need to stay stylish and organized. As part of our cabinet selection, we offer cabinet hardware and other supplies from Amerock. These hardware pieces include knobs, pulls, and hinges. Be sure to visit our Red Wing, MN showroom to take advantage of our cabinet services. From ready-made kitchen cabinets to custom cabinets, we’re truly your neighborhood cabinet expert! We look forward to helping you with all you cabinet needs.